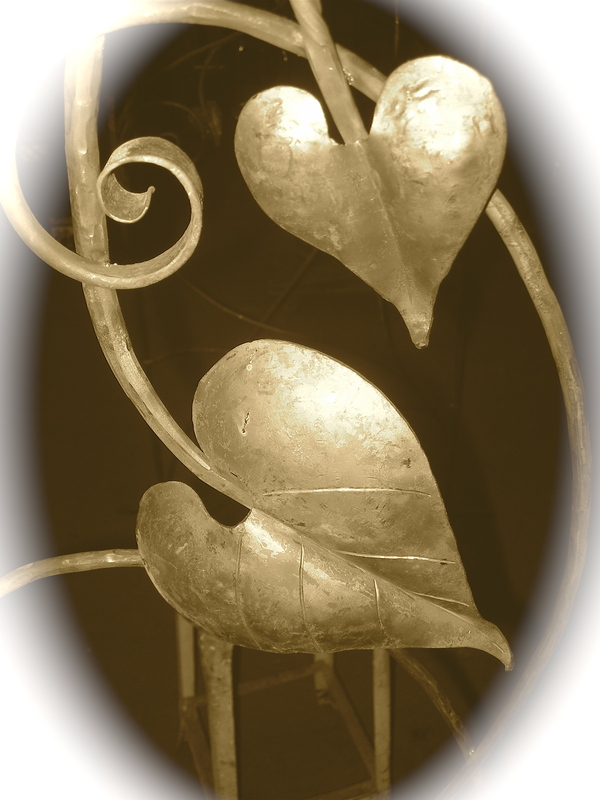 VanMadrone MetalWorks – Handmade. Hot forged. 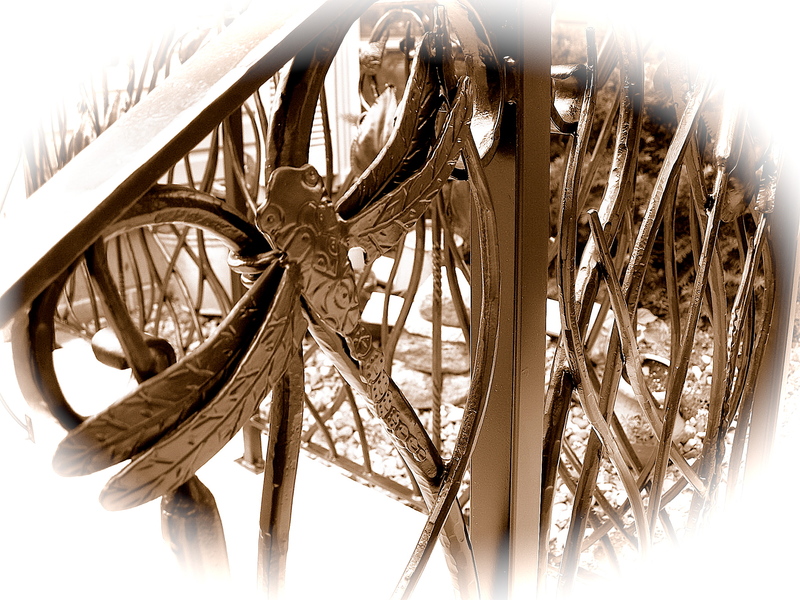 Custom Wrought Iron. 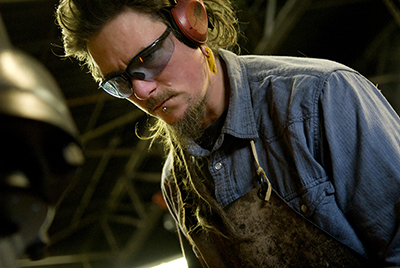 VanMadrone MetalWorks is an artisan blacksmith shop located in Minneapolis, Minnesota, and is owned and operated by Jef Van Syoc. 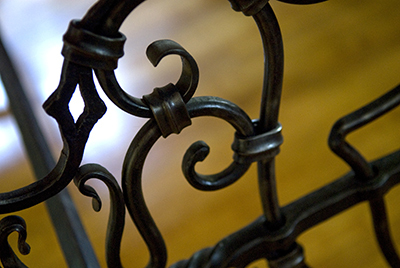 Each wrought iron piece is 100% handcrafted in a hot forge. I work directly with designers, architects, homebuilders and homeowners to custom design and build a variety of home decor, furniture and other accessories. Learn how to forge hot steel and explore ancient blacksmithing techniques! We frequently offer workshops where you can get hands-on experience and instruction with master blacksmith Jef Van Syoc. His classes are great for beginners as well as experienced students. 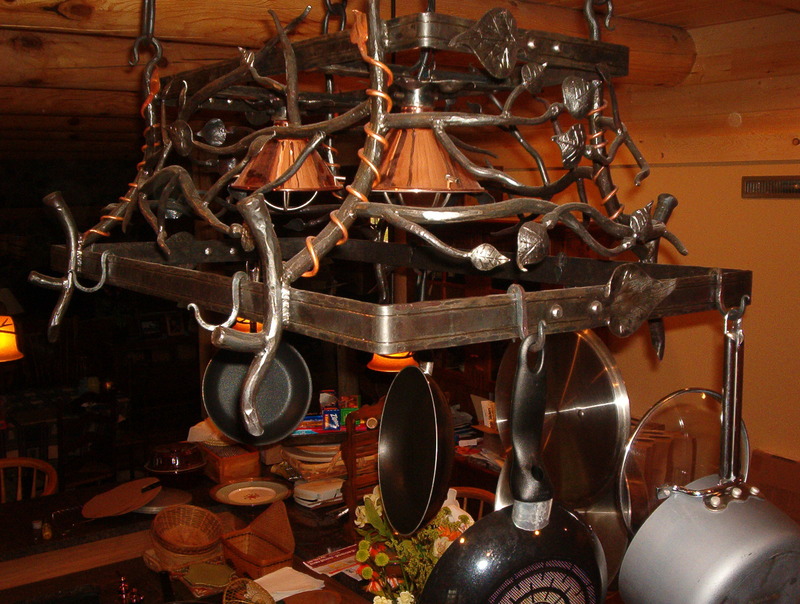 You'll leave with a finished piece hand-forged by you! Click here for our current schedule. For more information and to register contact: Jef Van Syoc, owner of VanMadrone Metalworks at: jef@vanmadronemetalworks.com. VanMadrone Metalworks offers a number of unique products, all designed and handmade by me. 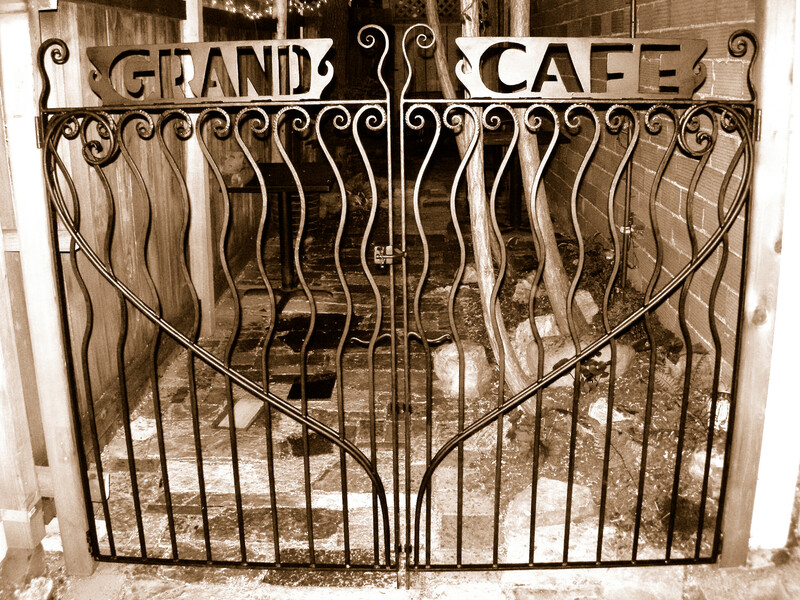 From custom gates and garden accessories to fireplace tools and fences, I can custom create whatever you dream up. Take a look at my work and see what inspires you. VanMadrone Metalworks, LLC was born of fire in May of 1999. On a cool spring day, I ventured to a neighbor's house in search of fertilizer for my new garden. Little did I know I would meet an incredible artisan blacksmith who would become my mentor. He introduced me to a world where art and metal coexisted in a fascinating yet functional way. I spent the next year and a half learning the art of traditional blacksmithing in a dark, smoky shop. The craft was magical and mysterious, and quickly became my calling. Every time I entered the shop and built a fire in the coal forge, the rest of the world would disappear and the only things that mattered from then on were the fire, the hammer and the iron. More than a decade later, I am still enthralled with this magical craft of old and I am lucky enough to call myself an artisan blacksmith, a man whose love of metal became more than a passion, it became my life. 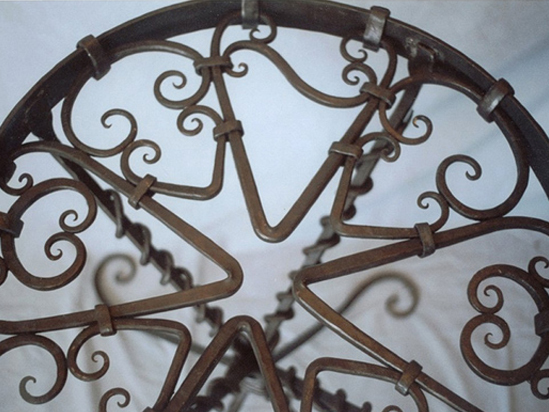 When choosing to work with VanMadrone MetalWorks, your project will receive the highest level of care, customer service and passion in providing professional hand-forged wrought iron work. My approach to work is simple, I partner with clients to develop a design that is both inspirational and functional. By working closely with clients, I am able to ensure every detail is accounted for and every project is completed and installed in a timely manner. With years of experience in the profession, I work alongside clients from beginning to end, from fine-tuning a design to troubleshooting common issues along the way. My expertise is working with metal and my goal is to share my knowledge with clients in order to forge a strong partnership that results in a finished product unlike any other. While I do most of the forging from my shop, I am equipped to bring my mobile shop to your location for any finishing touches during installation. 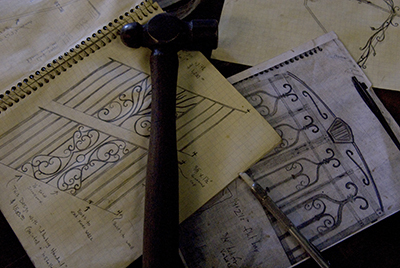 I also accommodate demonstration requests to share my love of wrought iron and the techniques used to produce each handcrafted project. VanMadrone MetalWorks offers free estimates. I am an eco-conscious company, using recycled materials whenever possible. Most importantly, all products are hand forged by me in my shop in Minneapolis, Minnesota. What kind of metal do you work with? I work with iron, steel, bronze and copper. How long does a project take? Timing depends on the size of the project. On average, it takes three weeks from start to finish to complete a project. Once we have agreed on the details of the project, I will provide you with a specific timeline. Is there any job too small? There is no job too small, insignificant or unimportant. Do you install the work once its completed? Yes, I provide full installation on site. There is no additional fee for installation, it is included in the project price. Are you environmentally friendly? 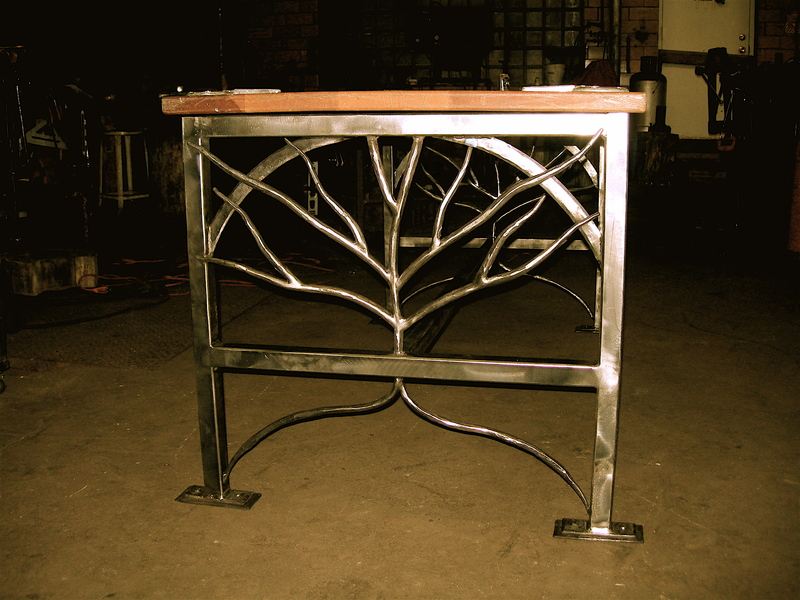 VanMadrone MetalWorks is an eco-conscious company, using recycled materials whenever possible. 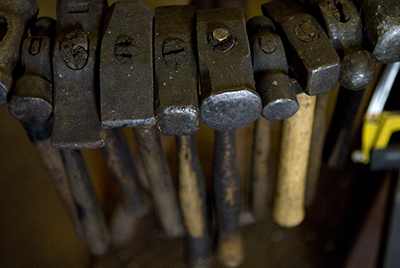 Most importantly, all products are hand forged by me in my shop in Minneapolis, Minnesota. Where do you find inspiration for your work? I'm inspired by some of the blacksmith greats, including American master blacksmith, Samuel Yellin (1885-1940), who is referred to as the 20th century's foremost artisan in iron; and Cyril Colnik (1871-1957), a master blacksmith known for iron work in architecture. I also find inspiration in nature, which is regularly reflected in my work. Do you guarantee your work? My work is guaranteed to satisfy my clients. No job is complete until my clients are happy with my work. Do you have any references I can talk to? The saying "a picture is worth a thousand words" is appropriate for my craft, my best references are my photographs. However, depending on the size of the job, I do have many happy clients that can speak to the excellence of my work.